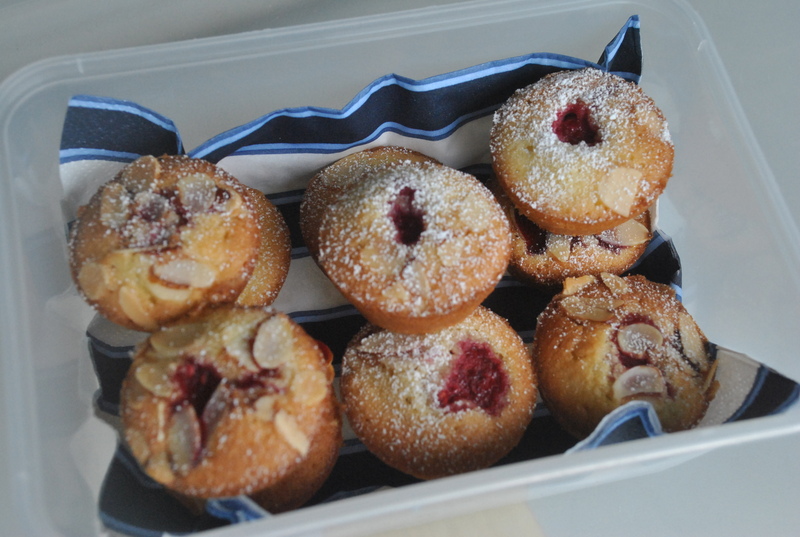 As promised, the recipe for these raspberry friands. I made about 20 mini friands with this recipe. My raspberries were pretty sour but they kinda balanced the slightly overpowering sweetness. 1. preheat oven to 180°C. Brush thirty 40ml-capacity mini muffin pans with melted butter to grease. Dust with plain flour. 2. Combine the sugar, flour and almond meal in a bowl. Make a well in the centre. Add egg and butter. Stir until well combined. 3. Divide among the prepared pans. Divide the raspberries among the centres. Sprinkle with the flaked almonds. 4. Bake for 15-20 minutes or until light golden. Set aside in the pans for 5 minutes to cool slightly before transferring to wire racks to cool completely. 5. 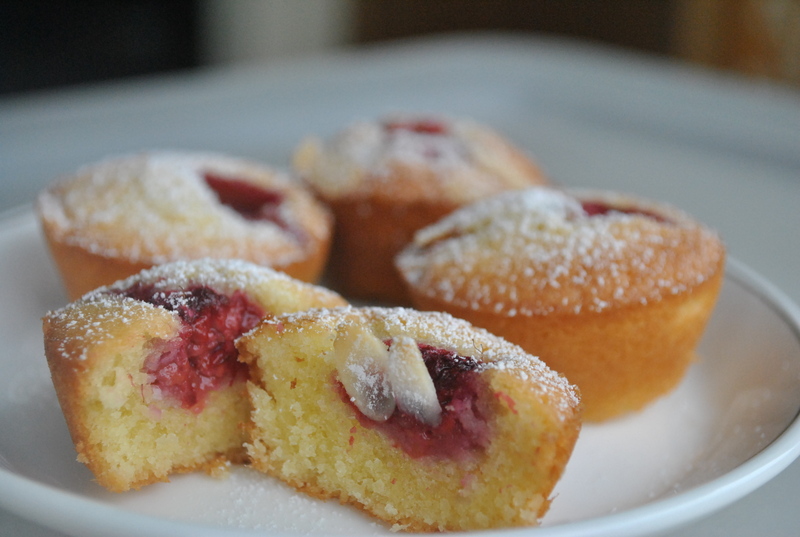 Dust the friands with icing sugar to serve. I have been really busy these days with school orientation. I just came back from SMU Sports Camp 2012 a few days ago. It was a BLAST. Rly AWESOME and i love my group. I am experiencing some kind of “post camp effects” right now?? Idk how to describe it but i just feel a little odd not seeing them. Hmm.. Anyway, I baked this Chocolate Raspberry tart a month ago. 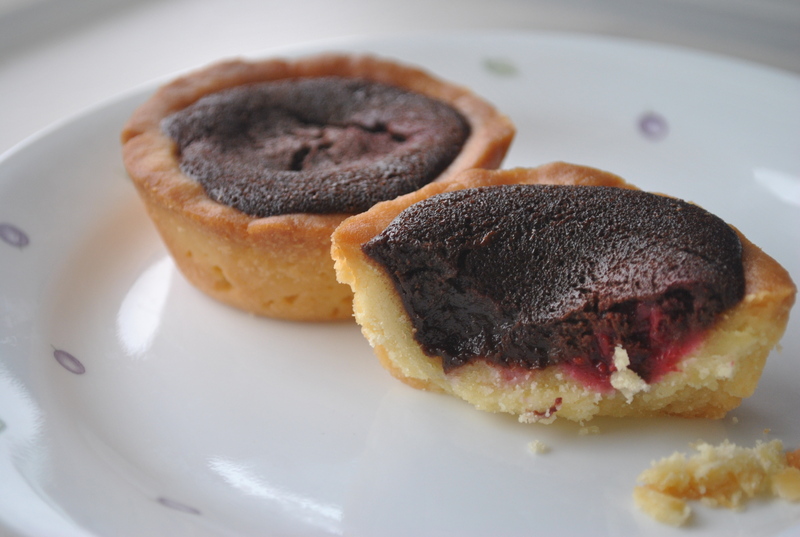 After seeing these warm chocolate Raspberry tarts made by The Little Teochew, I bookmarked it down immediately. I love the intergration of chocolate n raspberry. They are the perfect pair made in heaven. I like my crust to be thick, buttery and fragrant ( sth like shortbread??). I guess i left it for too long in the oven and the middle of the tart cracked and sank. I also made a mistakeof melting the chocolate and butter together. Regardless of these, the tart still tasted rly good. I would recommend that you use a better quality chocolat and do take note of what kind of chocolate you are using and adjust the amount of sugar accordingly. – Cream A in. Add B process till bind. 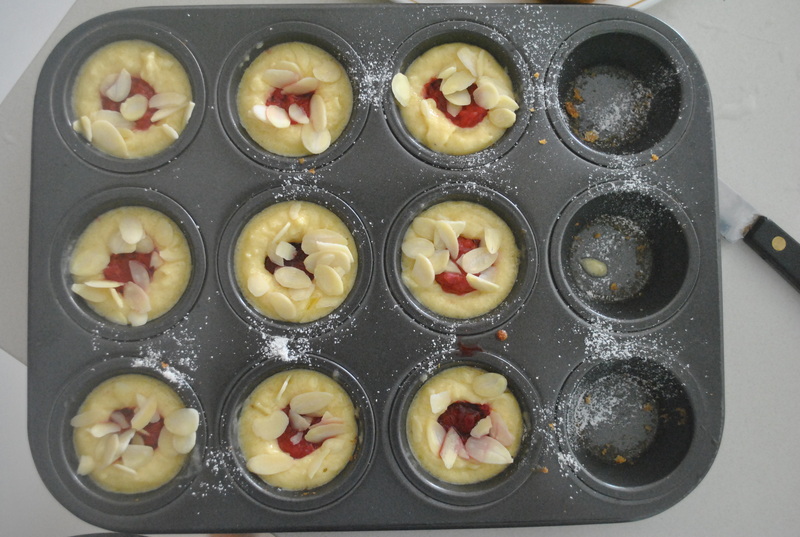 Press dough into tart mould. 1. Centre the rack in the oven and preheat the oven to 375°F (190°C). 2. Fill the tart crust with the raspberries. 3. Melt the chocolate and the butter in separate bowls either over – but not touching – simmering water or in the microwave. Allow them to cool until they feel only just warm to the touch (104°F [60°C]), as measured on an instant-read thermometer, is perfect). 4. Using a small whisk or rubber spatula, stir the egg into the chocolate, stirring gently in ever-widening circles and taking care not to agitate the mixture – you don’t want to beat air into the ganache. Little by little, stir in the egg yolks, then the sugar. Finally, still working gently, stir in the warm melted butter. Pour the ganache over the raspberries in the prebaked tart shell(s). 5. Bake the batter for 11 minutes (less if you are making mini tarts) – that should be just enough time to turn the top of the tart dull, like the top of a cake. The center of the tart will shimmy if jiggled – that’s just what it’s supposed to do. Remove the tart from the oven, slide it onto a rack, and allow it to cool for about 10 minutes before serving.